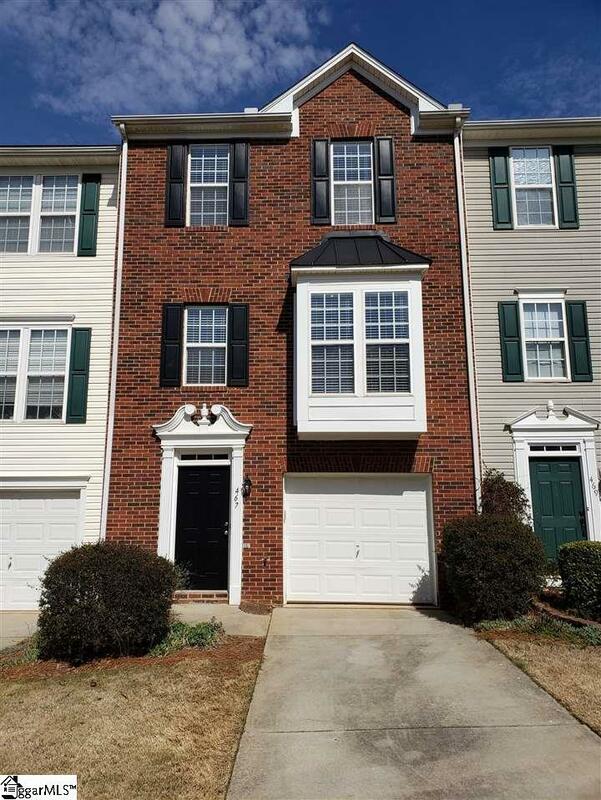 Location, low maintenance and updates make this 3 bedroom 3.5 bath townhome very desirable. The first floor has a bedroom with full on suite bath and walk in closet that could easily double as a second master bedroom. This allows for lots of flexibility and privacy for a roommate or home office, etc. The main level offers a very large living room, dining room, half bath and updated kitchen. The kitchen cabinets have been painted, granite countertops and island installed, new hardware and trim added, 3 of the 4 SS appliances are brand new. The upstairs features 2 large bedrooms. The main master bedroom has a large walk in closet and nice size master bathroom with double vanity sinks. The entire house has been painted ceilings, walls, trim, garage, doors everything has fresh paint. New carpet, new satin nickel hardware t/o, 2" faux wood blinds installed, many new light fixtures including OVERHEAD lighting in all bedrooms with new ceiling fans! This home truly shows like BRAND NEW. Located less than 1 mile to I-385 at Butler Rd super convenient to lots of restaurants, grocery stores, schools, etc. Schedule your showing today before this one is sold.